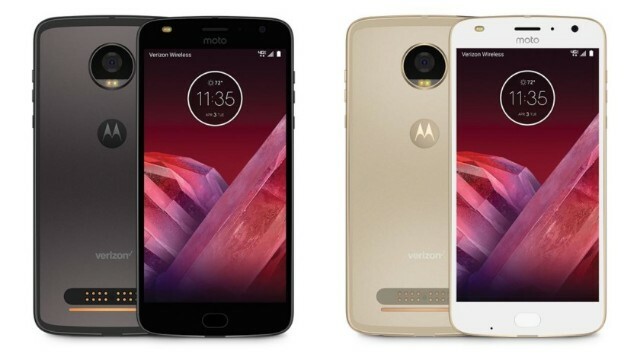 Motorola released the Moto Z2 Play. The handset is the second iteration to the popular Z Play series of the Lenovo-owned company. The Z2 Play was unveiled regionally in Bangkok with more or less USD 485 price tag. The Motorola Z2 Play was announced last June with 5.5-inch FHD Super AMOLED display which frames 401 ppi pixel density. The handset is also expected to sport a metal unibody design. In its cores, the Moto Z2 Play ticks with Qualcomm Snapdragon 626 coupled with 4GB of RAM. It also packed with 64GB of native storage with up to 2TB of expandability option via microSD card. The smartphone is expected to capture great photos with its 12MP rear camera backed with Laser AF and dual autofocus pixels. This sensor comes with f/1.7 aperture for better low light shots. On the flip side, the front-mounted 5MP camera comes with an f/2.2 aperture, wide-angle lens and two-color flash. Other notable features include 3000 mAh battery with TurboPower 15W fast charging support, NFC and USB 3.1 Type C. It is also treated with water-resisting nanocoating, and is powered by Android 7.1.1 Nougat. It's also worth-noting that the Moto Z2 Play is forward and backward compatible with Moto Mods. As of this writing, there's no word yet from Motorola PH on the local availability of the smartphone. As usual, we'll keep you posted.